Indoor Recess 2018 is SOLD OUT! Sign up for our mailing list and be the first to receive information about the 2019 event. What? 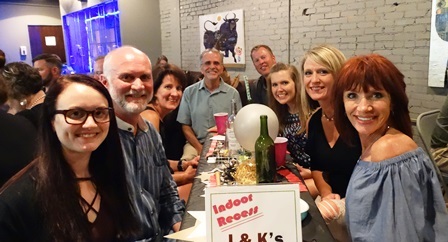 Indoor Recess is an evening of fun and games for adults that benefits the Putnam City Schools Foundation. 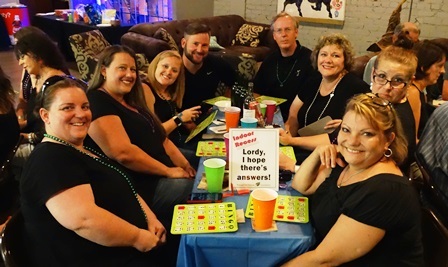 It's a combination of trivia, family game night and group activities. We'll play Let's Make a Deal, Giant Jenga, Family Feud, and many more of your favorites! *If wine is not your thing, the same package is available without the wine for $200. What about individuals? Individuals are welcome and will be assigned a team the night of the event. The entrance fee for anyone who registers and pays individually is $35, even if they are part of team. We recommend that teams appoint one person to handle payment and registration in order to get the reduced team price of $250 (or $200 without wine). Anything else? Yes! Prizes for the winning team, best theme, and more. Plus, raffles for fantastic items, including a John Hardy bracelet donated by B.C. Clark Jewelers! Get your group together and register TODAY because space is limited! Sponsorship opportunities are available for this event, so please consider promoting your business with us. Contact us at 405-495-5200 ext. 1205 or email kbaggerly@putnamcityschools.org. Established in 1987, the Putnam City Schools Foundation is a 501(c)(3) charitable organization managed by a board of trustees and comprised of involved patrons in the district, as well as two staff members. The mission of the Putnam City Schools Foundation is to enhance and enrich educational opportunities in Putnam City Schools. The Foundation develops relationships with local businesses, foundations, and individuals in order to garner resources and energies necessary to address pressing needs of our district. For more information visit www.pcf4kids.org.